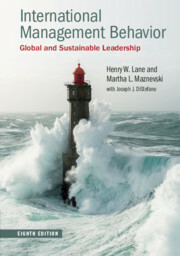 Now in its eighth edition, this is the textbook for current and future global leaders wanting to lead competently and sustainably in their business practices. 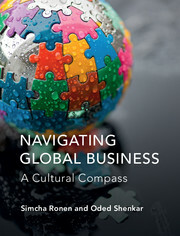 Fully updated, the authors build on their forty years of teaching, researching and working with managers worldwide to bring students the latest developments in global business practice. 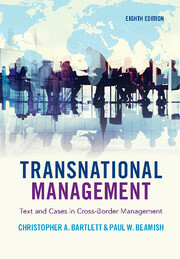 Now including end-of-chapter reflection questions to guide topic comprehension, and directed further resources to assist individual research, this edition also sees the return of Ivey Business School and IMD cases in the book. 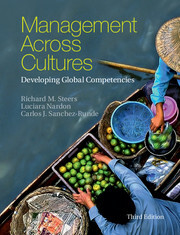 This edition also includes a new conception of mindful global leadership as the integrating framework for execution of global strategy, highlighting the importance of a holistic approach to working across cultures and distance. Combining a wealth of theoretical knowledge with real-world examples from diverse cultures, countries and industry sectors, the practical guidance and well-chosen examples throughout the book bring key concepts to life.